The Cross version of the Freemont is a cut above the rest, a model designed to meet the needs of modern families, who are looking especially for space and practicality. At the same time it also satisfies those customers that do not want to give up an elegant and distinctive look. 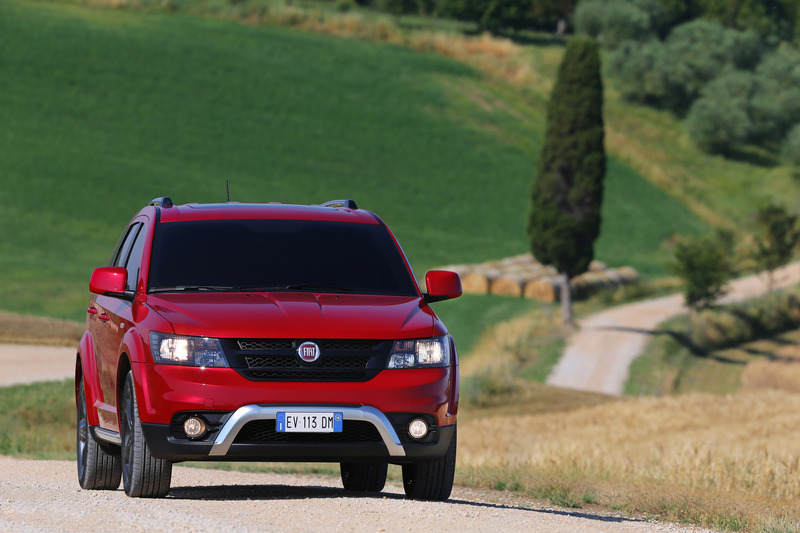 The successful positioning of the Freemont as "All the cars you want", which has led it to win over new customer types from other segments by combining flexibility and functionality with a modern, original style, is confirmed with the Cross. 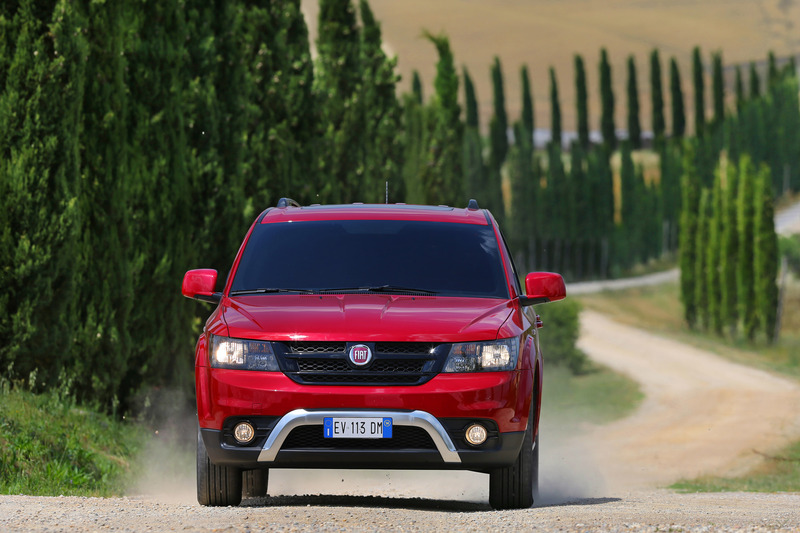 The Freemont combines all the strengths of an SUV - such as the innovative on-demand all-wheel drive, as effective in the city as when off-road - with the best features of an MPV, like the 7 seats, 32 seat configurations, 25 storage compartments and huge luggage space on board (up to a maximum of 1,500 litres, with second and third row seats folded down). It's a spacious, convenient and versatile vehicle for hectic everyday life, but also suitable for leisure time and the requirements of customers with an active, sporty life. 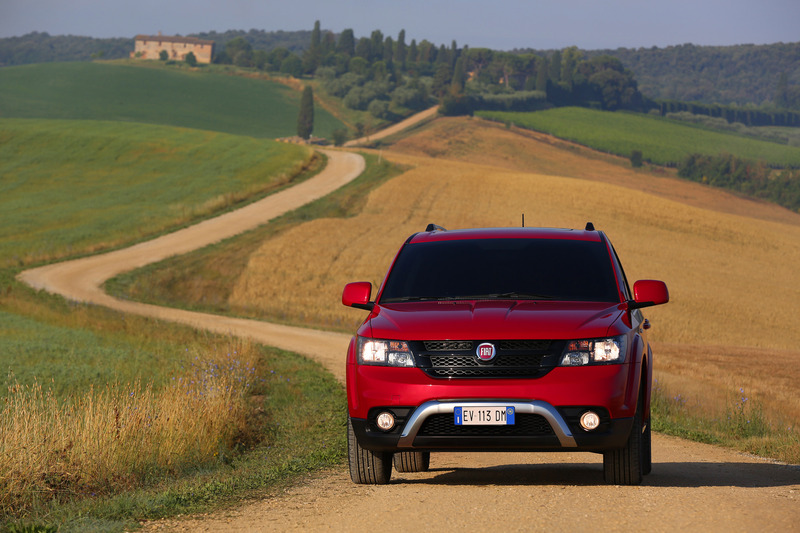 These are the keys to the commercial success of the Fiat Freemont - the best-selling 7-seater in Italy and leader in its segment for 35 months running - which in the new top-of-the-range version perfectly expresses the category-defying spirit that defines the concept of Cross developed by Fiat. 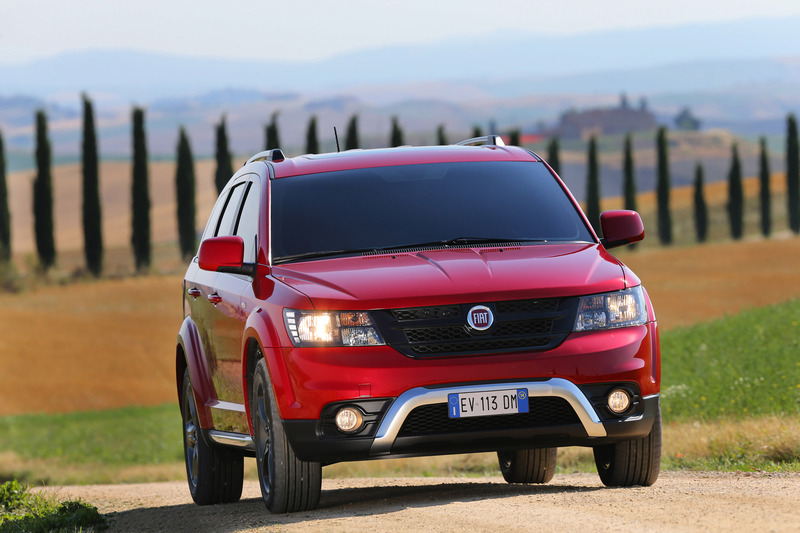 The new Fiat Freemont Cross offers a fresh look that makes it highly distinct within the range. This is thanks to the new front bumper with Platinum Chrome colour inserts, the glossy black front grille and fog light frames, Platinum Chrome colour side skirts and roof rails in the same colour, as well as the black frames for the front and rear light clusters, and the rear bumper with Platinum Chrome colour under-body protective insert. 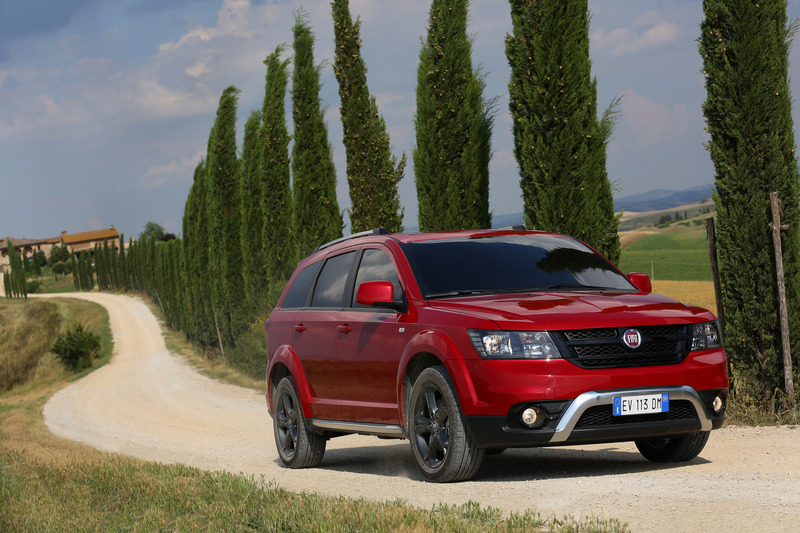 The Freemont Cross also has brand-new 19" burnished "Hyper Black" five-spoke alloy wheels. 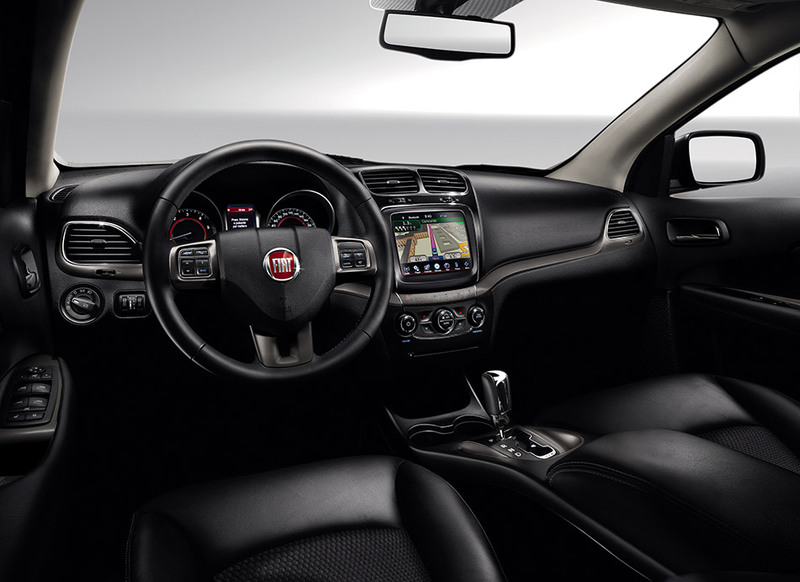 The Fiat Freemont Cross passenger compartment features unique details, like the new black leather seats with sports mesh inserts and light ardesian grey top stitching, also on the central armrest and door panels. Furthermore, a new Liquid Graphite colour finish highlights the dashboard, instrumentation, central console, door panel and steering wheel. The steering wheel and gear knob offered in leather as standard lend the finishing touch to the interior fittings. 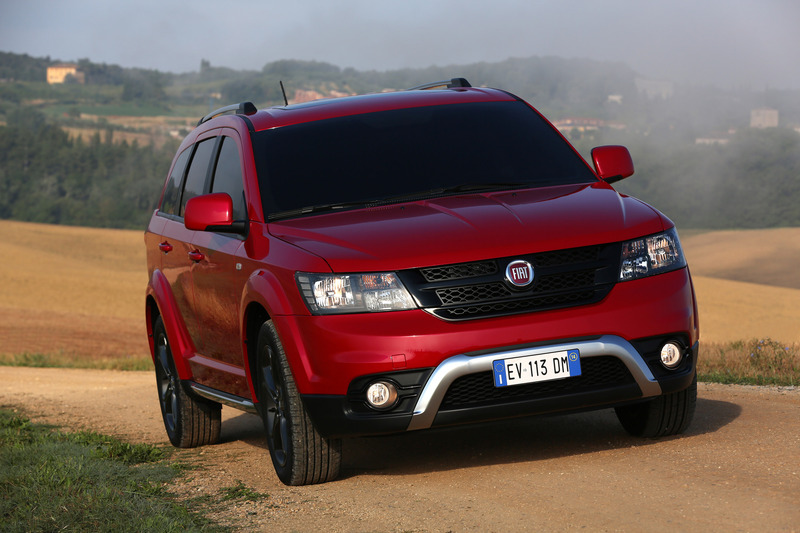 The new version is offered with the 140 HP 2.0 MultiJet II engine, with a 6-speed manual gearbox and front-wheel drive, and the 170 HP 2.0 MultiJet II, both in a 4×2 version with manual gearbox and an active AWD version teamed exclusively with a 6-speed automatic transmission that ensures excellent performance together with precise and quiet operation for ultimate comfort and satisfaction at the wheel. With its strong, decisive look and full equipment, the Cross trim level offers the cream of state-of-the-art infotainment devices as standard. There's an 8.4" touch screen satellite navigation system with maps, DVD player and SD slot, Bluetooth connection, rear parking camera and an Alpine Premium sound system with 6 speakers, 368 W amplifier and subwoofer. All of this certainly makes for a unique and exclusive version. 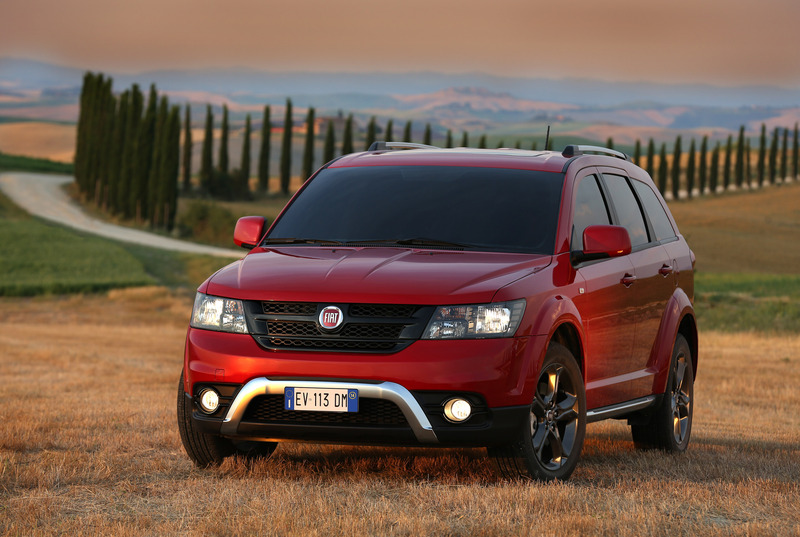 The new Cross trim level offers a superior level of versatility and refinement among crossovers. For example, the driver's seat features 10-way electric adjustment, the front passenger seat can be completely folded down, with a large storage compartment under the cushion, and the second and third rows of seats can be folded down, permitting the creation of a nearly 1.5 m³ load volume. What's more, the second row of seats reclines and features exclusive integrated child boosters, permitting the transport of children weighing 15 to 36 kg, without using a child restraint system. There are a total of 32 seat configurations, making the Freemont the most versatile crossover and permitting customers to organise the interior space with surprising flexibility. There are also more than 20 storage compartments, with a total capacity of about 140 litres - comparable to a city car's luggage compartment - such as, for example, the spacious compartments in the floor between the first and second row of seats, where valuable items such as cameras, portable computers and bags can be hidden. Thanks to the fold-down seats, uniform load platform and total capacity of the many storage compartments, the Freemont Cross offers surprising flexibility. Finally, standard features also include electric heated and folding door mirrors, six airbags, illuminated cup holders, Keyless Enter 'n Go with starting button as well as audio and driving speed regulation controls on the steering wheel. 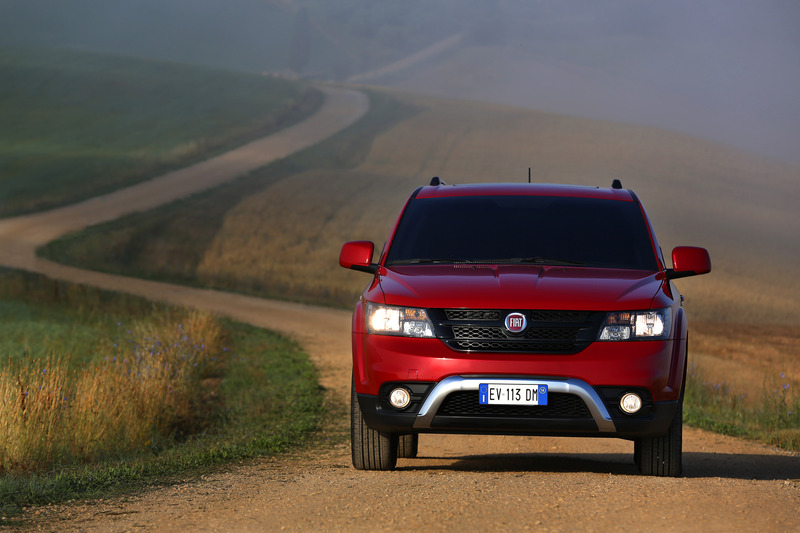 The active All-Wheel-Drive (AWD) system takes care of backing up the Fiat Freemont Cross's tough appearance. 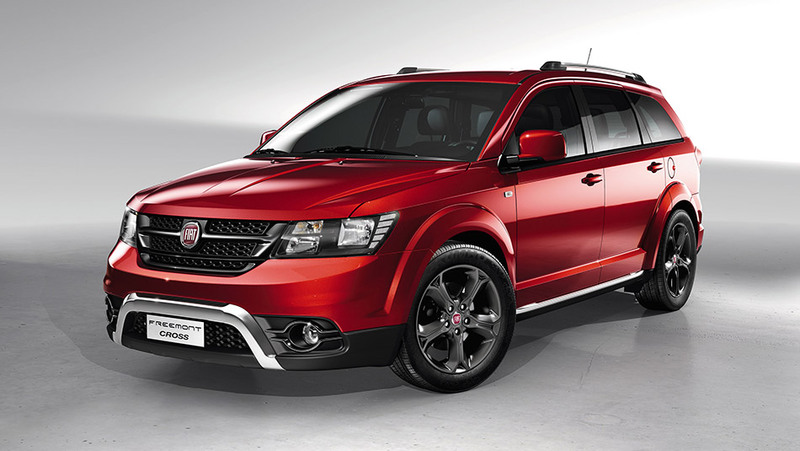 This is available with the 170 HP 2.0 MultiJet II 16v engine version, teamed with a 6-speed automatic transmission. 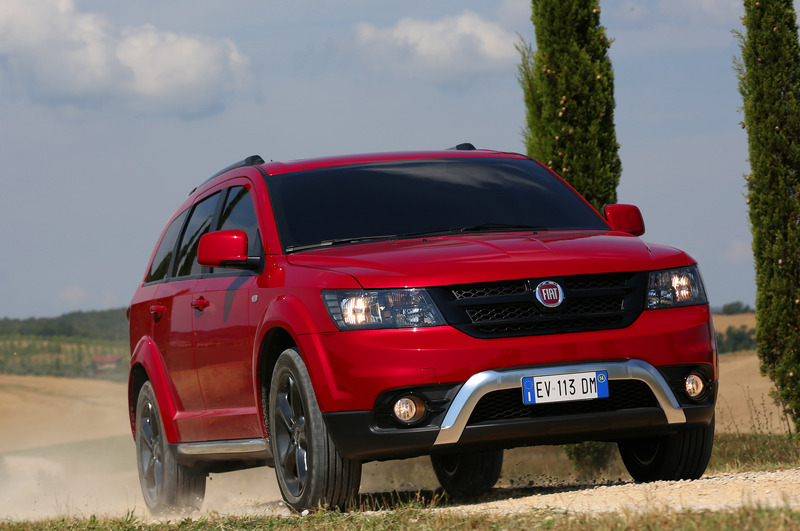 The Fiat Freemont active all-wheel drive system is on-demand and it is equipped with an electronic control unit which uses sensors to detect the grip of the four wheels and decides when to transmit traction to the rear wheels. The system intervenes on surfaces where the wheels may not have good grip (for example: mud, snow, ice) to ensure greater traction and no limits to the routes the vehicle can take, or in the case of asphalt surfaces, to ensure additional traction and greater safety on bends. The rear-wheel drive also activates on dry surfaces - at a speed of between 40 and 100 km/h - improving handling when driving and allowing it to take curves more easily, with more neutral dynamic behaviour. In particular, the electronic system modulates torque transfer through the use of the ECC (Electronically Controlled Coupling) and, operating only on request, contributes to greatly limiting fuel consumption. The ECC on the AWD system is more flexible and accurate than a viscous coupling. The control unit also interfaces with the Electronic Stability Control (ESC) system and the traction control system (ASR), which help to keep the crossover firmly glued to the ground, whatever the weather or the road surface. Other features include the anti-wheel-locking system (ABS) and the Electronic Rollover Mitigation (ERM) system as standard. 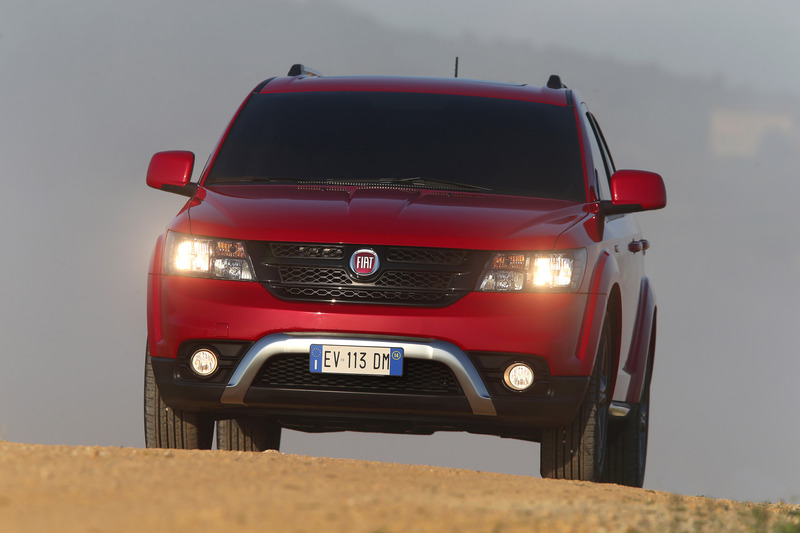 In terms of safety, the Fiat Freemont Cross is at the top level as proven by the prestigious five-star Euro NCAP and more than 50 safety devices available. These include the front passenger advanced multistage airbags, active headrests, electronic stability control with traction control system at all speeds and the Brake Assist system. What's more, side window airbags for all three rows of seats, airbags in the front seats, disc brakes on all four wheels, Isofix child restraint system attachment are also available as well as the Active Hood system, which uses sensors to detect the presence of pedestrians in frontal impacts, raising the rear part of the bonnet to reduce the impact force. The Electronic Rollover Mitigation (ERM) system and Trailer Sway Control (TSC) are also available. The ERM uses data received from the ESC sensors to detect potential rollover risks and intervenes by varying the braking power supplied to individual wheels and adjusting the position of the throttle valve. The Freemont also has an intelligent system which takes care of your trailer, Trailer Sway Control (TSC). Once its sensors detect that the trailer is swaying, the system intervenes automatically applying the correct braking action to the wheels in order to keep the trailer under control and avoid dangerous oscillations. With this system, drivers can feel safe and confident when transporting their own loads. Transforming your car into a unique, personalised item: that's the aim behind the wide, extensive range of accessories and services created by Mopar®, the reference brand for services, customer care, original spare parts and accessories for the Fiat-Chrysler brands in Europe, the Middle East and Africa (EMEA). 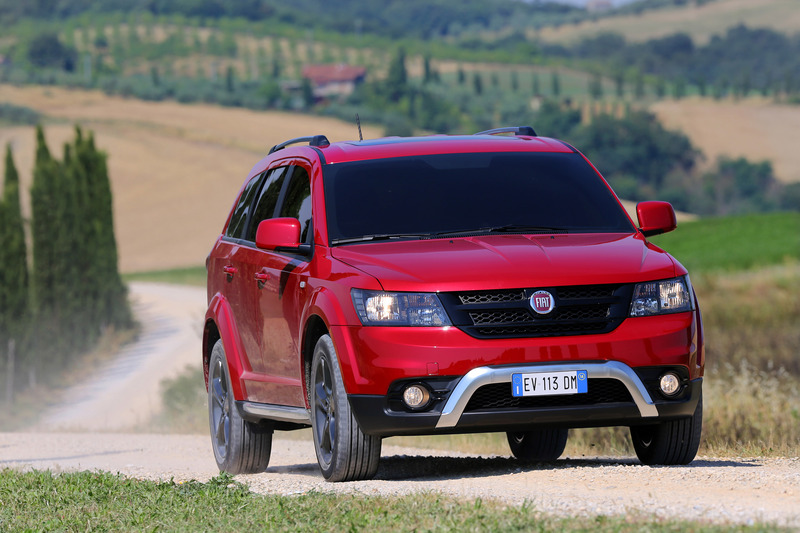 As well as offering more than 450,000 original spare parts, Mopar also provides the Group's customers, in over 130 countries, with a catalogue that includes nearly 25,000 high-quality accessories. 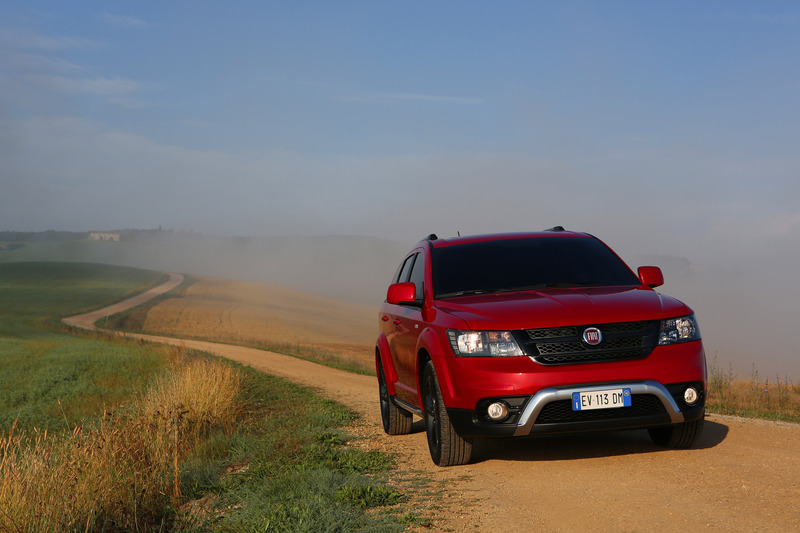 In particular, the specific accessories for the Freemont model - which can also be chosen by customers for the new Cross version - blend perfectly with the technical and stylistic characteristics of the vehicle, for extensive, complete customisation. Specific examples are the roof bars, the 'soft bag' for mounting on the roof, the anti-theft wheel bolts for the tyres, the kick plate with Freemont logo, the specific mats and a luggage protection box. Developed in collaboration with the Freemont model design team, original Mopar-branded accessories make it possible to retain the characteristics of reliability, comfort and performance over time that the vehicles can guarantee the moment they leave the factory. 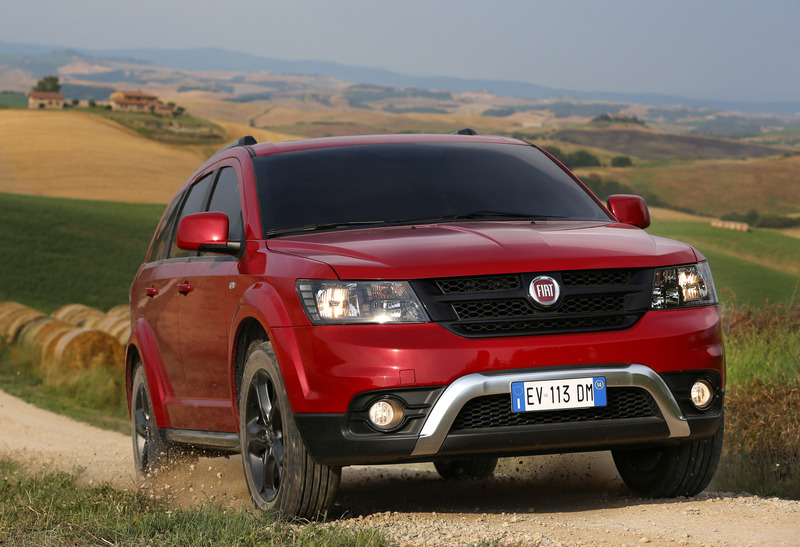 Freemont Cross customers can also count on the wide range of "Mopar® Vehicle Protection" maintenance and assistance services - the only ones guaranteed by Fiat Group Automobiles - available throughout the European network of Dealerships and FGA authorised workshops. Maintenance and repair work is performed by highly specialised Company-trained technicians always using original spare parts specifically designed for each vehicle.